Min: 4 assorted step stools. Step Stool, minimum: 2 ea. 30 Medical Step Stools with high weight capacities are shown below. This stackable surgical footstool features Stainless Steel construction. Easier to clean since it has no corner holes. Top surface measures 14" wide x 19" long x 6" high. Heavy gauge legs and handles, no sharp edges. These footstools can be safely stacked for increased height. They also interlock to create larger platforms. Weight: 15 lbs. ; Weight capacity: 650 lbs. ; 300 lbs. if stacked. Extra large platform with a thin slip resistant mat is glued onto surface. Stock#: 59-A, List: $40; Your cost: $32 ea. Minimum order: 3 mats. to invoice. Prices are subject to change without notice. 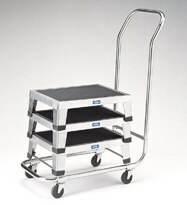 This Pedigo Transport Storage Cart is constructed with Stainless Steel. 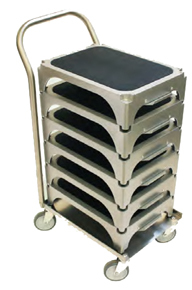 Transport cart holds up to six P-1015 footstools for storage or mobility. mat glued onto the surface. 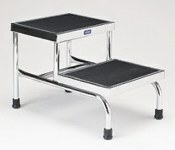 Here is a stackable/ interlocking surgical step stool with Stainless Steel welded construction and a very low price. a thin slip resistant mat is glued onto surface. Dimensions: 12" wide x 18" long x 5 1/8" high. Weight capacity: 650 lbs. ; 300 lbs. if stacked. 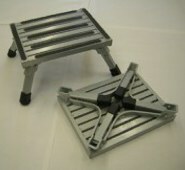 Compatible/ interchangeable with Blickman #8762SS step stool. SW-140 Step Stools shown above. Provides for easy storage or transportation of step stools. Overall dimensions: 14" wide x 21" long x 39" high. Compatible with Phelan brand step stools.  A permanent anti-microbial coating that prevents the spread of dangerous micro-organisms and suppresses the growth of mold, bacteria, yeast and mildew. No welds or large hollow legs that trap contaminates. High density rubber foot pegs eliminate the need for surface rubber inserts. This reduces the risk of contamination. Lightweight 8 lb. aluminum design for easier lifting and transport. Locks end to end for any length. Dimensions: 13" wide x 17½" long x 4 5/8" high. Transport Cart is available. Holds up to 6 step stools. 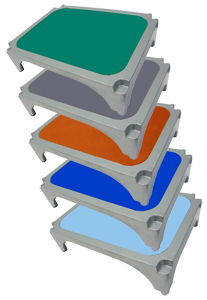 Stackable Color Coded Surgical Step Stools. Now you can color code step stools for diferent O.R. sections or areas. Lightweight 8 lb. aluminum design for easier lifting and transport. Weight capacity: 300 lbs. Heavy-Duty construction provides for easy storage or transportation of step stools. Designed to hold 6 ea. SW-45 model step stools. All stainless steel welded construction with a removable handle. Overall dimensions: 14" wide x 19" long x 36" high. 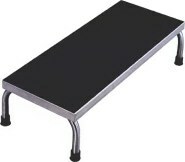 This extra long surgery footstool includes all-welded stainless Steel construction. Non-tip offset legs with 1" O.D. stainless steel tubing. 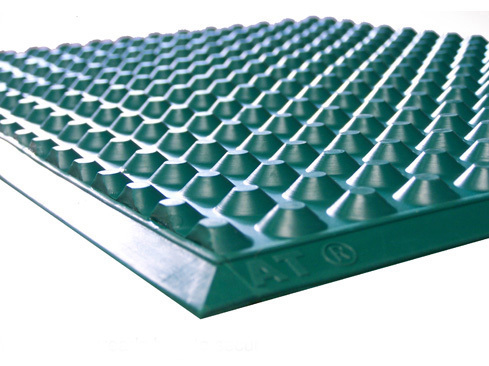 Corrugated rubber matting cemented to platform to prevent slipping. Size: 12" wide x 30" long x 8" high. chrome. Weight capacity: 300 lbs. P-1010-SS S.S., 12" deep x 16" wide x 8¼" high, 8 lbs. P-1011-SS S.S., 12" deep x 30" wide x 5" high, 24 lbs. P-1012-SS S.S., 12" deep x 30" wide x 8" high, 24 lbs. P-10 Chrome, 12" deep x 16" wide x 8¼" high, 10 lbs. P-11 Chrome, 12" deep x 30" wide x 8" high, 27 lbs. Freight pre-paid and added to invoice. Prices subject to change w/o notice. Terms & conditions. This Pedigo Medical Footstool is constructed with strong, all-welded steel. Handrail is welded to base. Legs constructed of 1" O.D. 16 gauge tubular steel. Handrail constructed of 1" O.D. tubular steel. Tip resistant, rugged and easy to maintain. Corrugated, black, rubber top surface. Black rubber floor tips are standard. Grey rubber floor tips are optional, same price. Add "K" to stock number. Top surface dimensions: 12" deep x 16" wide x 8" high. Height with handrail: 38½. Ships Fed Ex Ground. P-1010-A-SS, 18 lbs. Freight is pre-paid and added to invoice. Handrail mounted on right side. P-18 Chrome, 12" deep x 16" wide and 16" high, 24 lbs. P-18-A Same as above except with handrail on right side as you walk up the steps. Step stool with handrail is 47" high. Weight is 34 lbs. Freight is pre-paid and added to invoice. Prices subject to change w/o notice. This Clinton brand Medical Step Stool features a chrome-plated finish. Top surface: 11¼" wide x 14¼" long x 9" high. Includes rubber tread top and rubber feet for safety. Weight capacity is 350 lbs. Warranty: 3 years. Delivery within 2 weeks. 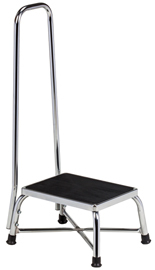 This Clinton Medical Step Stool with Handrail features chrome plated 18 gauge steel for durability. This attractive/ heavy duty foot stool is available with your optional laminate color at the same cost. See color choices shown below. Shown with laughing hyena graphic placed on each side of foot stool is ideal for Pediatric offices. Also available without graphics. Made with heavy laminated wood construction and non-skid tread on top and bottom. Measures 16" wide x 20" long x 7" high. Note: It fits under the shelf of the Clinton Bench Style Treatment Tables. Weight capacity: 350 lbs. Wt: 30 lbs. This foot stool with koala graphics is also available with an optional laminate color at the same cost. See color choices shown below. The koala graphics is on each side of foot stool is ideal for Pediatric offices. Weight capacity: 350 lbs. Weight: 30 lbs. Delivery: Approx. 3 weeks. 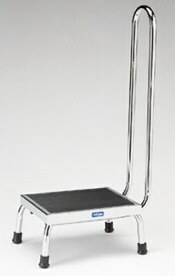 This heavy-duty two step, portable Bariatric Step Stool is unique, durable and user friendly. Price quoted on this item is FOB Factory. Freight is pre-paid, added to invoice. Overall size with 1 handrail: 25½" deep x 30¾" wide x 52½" high. Overall size with 2 handrails: 25½" deep x 31¾" wide x 52½" high. Actual steps are 27 3/8" wide x 12" deep. Height of first step is 8¾" from the floor. Height of second step is 16½" from the floor. 30" x 4"; 15 lbs. Warranty: 1 year on springs/ casters; 5 years on frame. 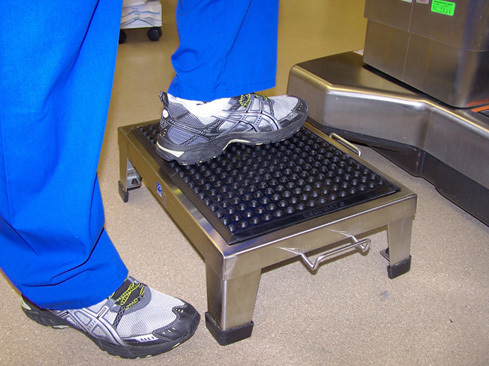 This moveable step stool/ platform is ideal for vein treatment, venous reflux studies, standing knee x-rays, ultrasounds and other procedures for bariatric and non-bariatric patients. Includes an 800 lb. capacity and oversized 27"+ wide steps. It's large enough for your biggest patients - but not too wide. And it's portable! So it can easily be moved through most door openings. It includes an attractive, heavy-duty, fully welded steel frame. Constructed with a 14 gauge steel frame and 12 gauge steel steps. Handrail can easily be mounted on either side of step stool. Optional handrail is available for those who want 2 handrails. A non-skid surface helps to ensure safety. Includes a weight sensitive spring loaded caster design. This allows for you to easily move this two-step step stool to other areas. in three different frame colors. This extra large Bariatric step stool features heavy-duty welded steel construction. Weight capacity: 1,000 lbs. Delivery: 2 to 3 weeks. Size: 14" wide x 20½" long x 6½" high with anti-skid surface. Gray frame color is standard. Optional Cream or Black frame color is available with an upcharge. Price quoted on this item is FOB Factory. Freight is pre-paid and added to invoice. Prices subject to change without notice. Includes steel reinforced stress points and safety tread top. This step stool is extremely solid and well built! This extra large Bariatric step stool with heavy-duty wood construction features a 1" thick laminated plywood base, steel reinforced stress points and safety tread top. Top surface: 23" long x 23" wide x 8" high. Weight: 35 lbs. Includes a solid bolt-thru design and easy-grip cut outs. Available in sand color only. This step stool is just 16" wide. This heavy-duty double Clinton-brand step stool features Chrome-Plated 16 gauge steel for durability. 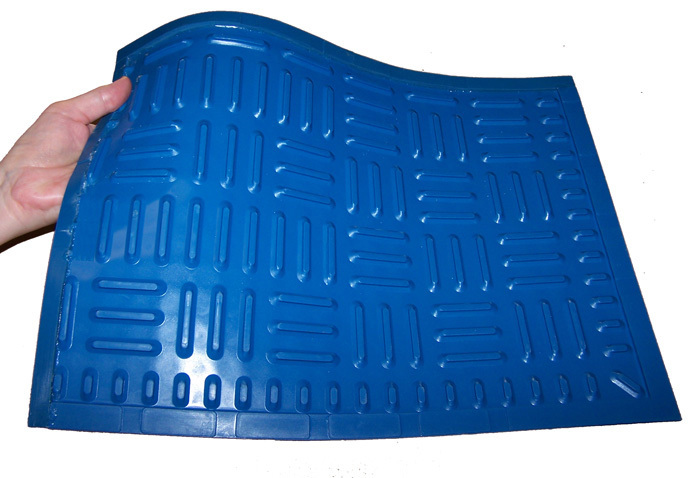 Skid resistant rubber mat for safety. Weight: 22 lbs. Weight capacity: 350 lbs. Size: 27" long x 17¼" wide x 17¼" high. Note: Please measure to be certain this 17¼" width is wide enough to accommodate your requirements. This step stool is just 17¼" wide. This heavy-duty Clinton brand two-step medical step stool with handrail features chrome plated 16 gauge steel for durability and a skid resistant rubber mat. Handrail is 1" chrome plated steel. Weight capacity: 350 lbs. Warranty: 3 years. Size: 27" long x 17¼" wide x 17¼" high. Rail height is 43" from top of rail to floor. Weight: 29 lbs. Note: Please measure to be certain this 17¼" width is wide enough to accommodate your requirements. Designed to provide safer, easier access to and from X-Ray tables, Birthing Tubs and other places. This Clinton Bariatric Bariatric Foot Stool includes a chrome-plated base, reinforced "X" base construction and a rubber tread top for safety. Top surface: 14¼" long x 11¼" wide x 9" high. This Clinton brand Bariatric Medical Step Stool with handrail features a chrome-plated base and reinforced "X" base construction. 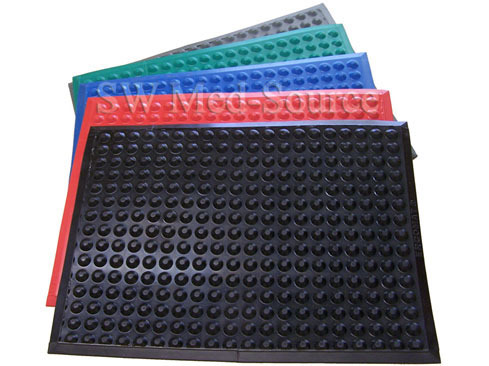 Skid resistant mat for safety. Dimensions: Top surface: 14¼" long x 11¼" wide x 9" high. Step stool with handrail is 36" high. Weight: 12 lbs. Some assembly is required. Features white powder coat finish. Weight capacity: 1,000 lbs. Weight: 6.5 lbs. Top surface: 15" wide x 19" long x 8¾" high with non-slip gripper strips. Wide anti-slip base with non-slip rubber leg tips prevents tipping and sliding. Available with 2" or 4" leg extensions. Add $14 for 2" extensions and $16 to cost for 4" extensions. Specify Yellow, Black or Silver powder coat finish. Top surface: 12" wide x 19" long x 5½" high. with 11" x 14" platform. Weight capacity: 1,000 lbs. Weight: 4 lbs. Top surface: 11" wide x 14" long x 8½" high. Yellow, silver or silvervein powder coat finish. Top surface: 14" wide x 19" long x 8" high. Top surface: 11" wide x 14" long x 7½" high. and the lower leg (lateral-medial, medial-lateral or anterior posterior). quality weight-bearing and non-weight bearing X-Ray images. Keeps patient as close to the image plate as possible to ensure high quality images. Two step platform is 19½" wide x 17" deep x 15½" high. Top handle is 51" high. The second step is 15½" off the floor. Optional third step raises the platform height to 24". The three step platform is about 10" longer and 2" wider than the two step unit. Top step is 2" thick with a 7/8" groove. Includes a heavy-duty steel grab bar. Provides safe and easy positioning for weight-bearing poses. with either bucky or fixed cassette. Click on video for product demo. with a 500 lb. weight capacity. This 2 Step Positioning Platform permits patients to be positioned over a variety of C-Arm digital radiography systems. This platform places the patient in the optimal position for easy capture of the highest quality weight-bearing AP foot images. Sturdy two sides hand rails are included. 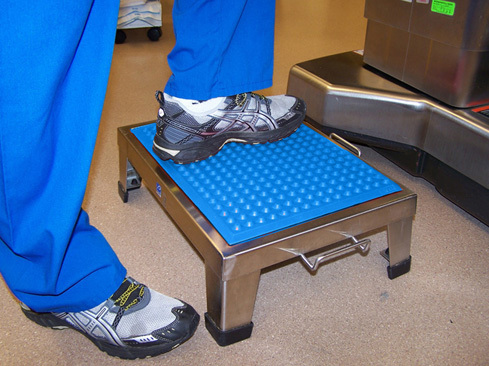 Platform is designed for patients weighing up to 500 lbs. It keeps the patient's foot as close to the image plate as possible to ensure high quality images. Easy to keep clean, the platform is made from germ-resistant, non-porous polyethelene and steel. Easily portable with full locking swivel casters. This Combination Step Stool/ Platform enables imaging technicians to comfortably place large patients in an optimal position. Capture the highest quality weight bearing images of knees, ankles, feet and the lower leg Iateral-medial, medial lateral, or anterior posterior). Keeps patient's foot as close as possible to the image plate to ensure high quality images. Designed for use with bucky or fixed cassette. Easily portable with built-in rollers and grab bars. Easy to keep clean, the platform is made from germ-resistant, non-porous polyethelene. This 30" wide platform better accommodates patients of all different sizes compared to the above 19½" wide platforms. This Digital Extra-Wide 2-Step Platform supports all Canon, Carestream, GE, Siemens and Toshiba systems. Three film placement locations provide great versatility in posing the patient for optimal images. The 12½" wide x 17" long size is perfect for most surgical step stools including Phelan, Pedigo and Blickman. Custom sizes are also available. Contact us with your preferred size. See listing of sizes of the most common surgical step stools shown in the right column. select one of the above colors. Phelan #5050-1: 13" x 17½". Blickman 8762-SS: 12" x 18". details of your step stool prior to purchase. Returns are subject to a 25% manufacturer's re-stocking fee. Product must be returned in the original box and must be received in undamaged, re-saleable condition.